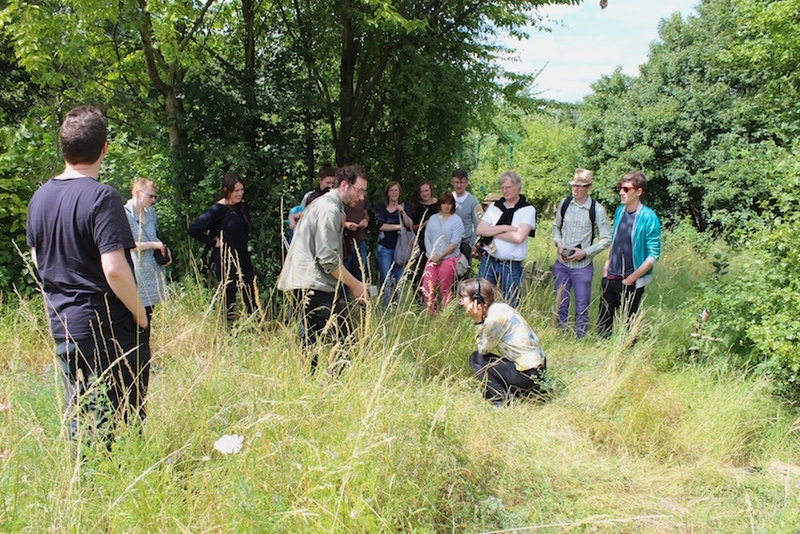 The first meeting of ‘Detours2London’ will take place at the Shed, Stave Ecological Park, at 10.30 am on 6th July 2014, followed by ‘watery walk’ through and beyond Rotherhithe. As a kind of test for mapping you can follow this googlemap to walk to the Shed on Sunday (pinpointed at 9 St Elmos Road – in fact the Shed Centre is just behind the artificial Stave Hill in the wild wood area). 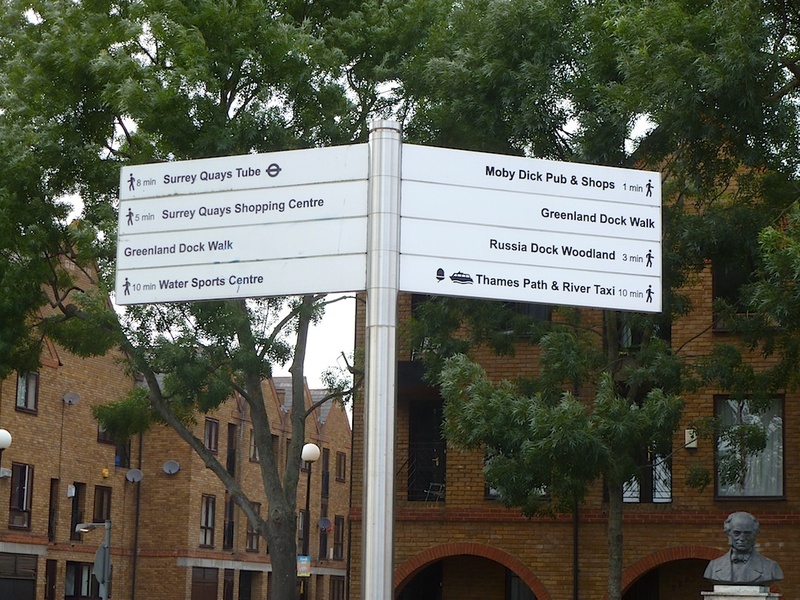 As you walk try following signs to either Russia Dock, Russia Dock Woodland, Stave Hill Ecological Park or Stave Hill. All these signs will take you towards Stave Hill. When you reach Stave Hill mound, make your way around it until you see the banner and sign for the Stave Hill Ecological Park and just follow the signs to the Shed. This is a very pleasant 10 minute walk along a waterway and through green ribbon into the park signposted from Canada Water and shown on the googlemap or as satelitte googlemap; to start walk watch for the signposts to park as you walk toward Decathlon Superstore, turning left up the ALBION CHANNEL here. Walk along the waterway until you see a small turning on your right – BRASS TALLY ALLEY then when you reach gates for SALTER PRIMARY SCHOOL turn left towards Russia Dock Woodland and signposts to Stave Hill. As there is no tube/train right near to the site and if you do not wish to walk you can still get a number of buses up to the top of Rotherhithe from Canada Water or Rotherhithe Overground stops (Nearby bus routes are 1, 225 & 381, 395 – stop near Lagado Mews or ask for Stave Hill). The Park is open to the public at all times and has a full time warden – Rebeka Clark – who is our host. You can enter from Russia Dock Woodland or from entrances around Stave Hill including Dock Hill Avenue (off Timber Pond Road) if you come by car, bus or bicycle. 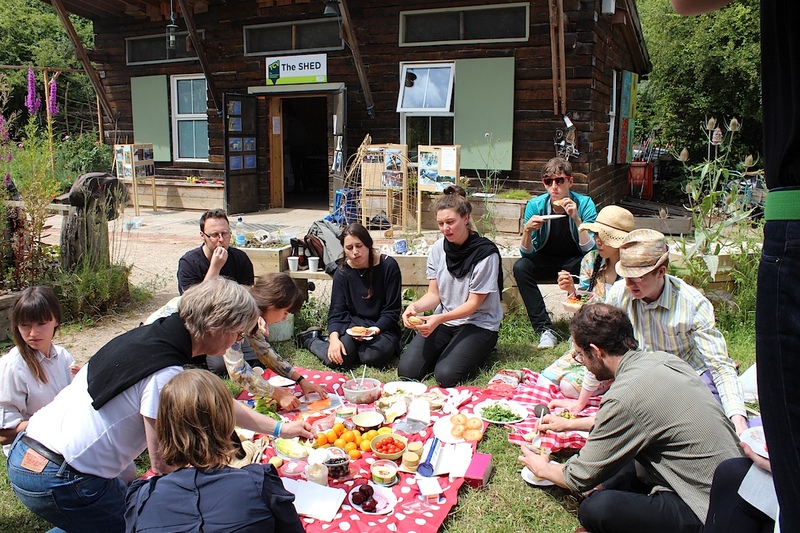 For those artists who are talking or showing some work/s you can set up in the Shed from 10 am. We will aim to start the meeting and presentations from 10.45am. Tea, Coffee and pastries will be available while we set up. A picnic lunch will be provided for participants but you are welcome to contribute something to drink. SEE the Marseille GR2013 project curated by Baptiste Lanaspeze here it would be helpful. The GR2013 (National walking trail through Marseille/France) see: http://www.mp2013.fr/gr2013/en/. Beth Elliott (Director Bethlem Gallery) http://www.bethlemgallery.com/Bethlem_Gallery/Welcome.html. with guests Gail Astbury, Josee Dubeau, Daniel Lehan and work from Anne Robinson (currently in China).